Motorola has launched its flagship Moto Z2 Force smartphone in India today. The device carries a price tag of ₹34,999 in India and it will be available exclusively from Flipkart starting midnight today. Motorola is offering the Moto TurboPower battery mod free with the purchase of the Moto Z2 Force, which comes with 6GB RAM + 64GB internal storage. The Moto Z2 Force is a beast of a smartphone, not just because of its top-of-the-line specs, but also due to its impressive build quality. 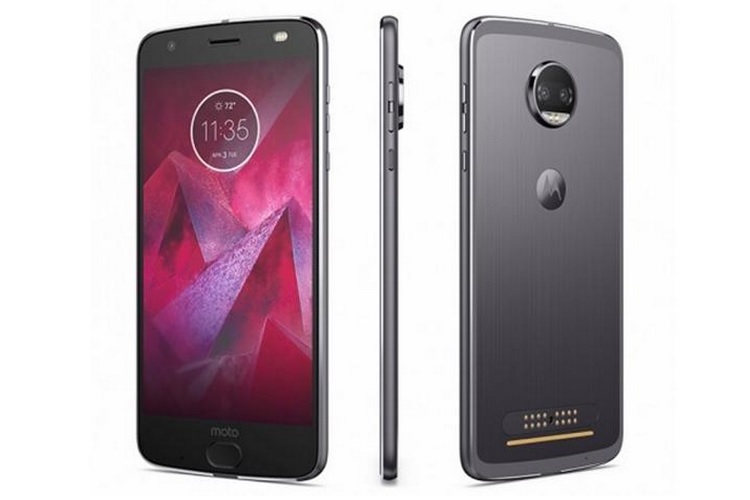 The sleek metallic body of the Moto Z2 Force is carved out of 7,000-Series Aluminum and is topped off with a display that is protected with Motorola’s ShatterShield technology, which is claimed to make the device’s QHD display shatter-proof. So, as far as occasional drops and falls are concerned, you can be assured that the display won’t crack or shatter. When it comes to the Moto Z2 Force’s specifications, you get a 5.5-inch P-OLED QHD (1440 x 2560) display. Under the hood, the device packs Qualcomm’s flagship Snapdragon 835 SoC, paired with 6GB of RAM and an Adreno 540 GPU ticking alongside to handle graphics-intensive tasks with 64GB of internal storage. In the camera department, the Moto Z2 packs a capable 12MP+12MP dual camera set up on the rear side and a 5MP sensor to handle selfies. The device is equipped with a 2,730 mAh battery, which can be further supplemented with the 6,2200mAh unit inside the Moto TurboPower Mod. Aside from Flipkart, the Moto Z2 Force is also likely to be sold in Moto Hub stores across the country, though for now one can only experience these devices in the brick-and-mortar stores.